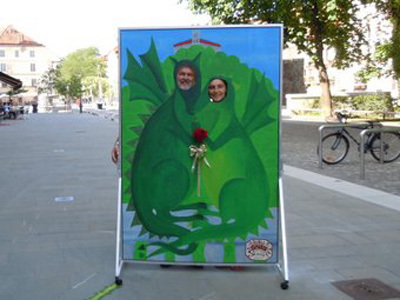 The word “skrina” (from the Upper Carniolan dialect) is derived from the word “skrinja” meaning a wooden chest where our grandmothers kept valuable objects for the bride's trousseau. 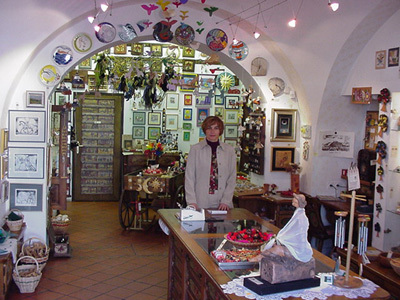 Ethno gallery SKRINA, located at Breg 8 in the old city centre of Ljubljana, has been meticulously searching through the wooden chests of our grandmothers for some long forgotten and hidden treasures ever since 1989. 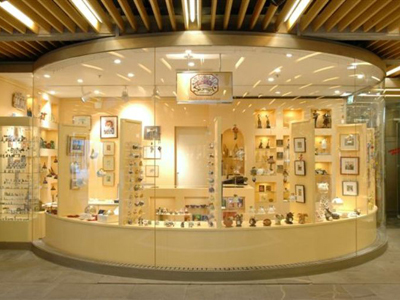 The campaign named “Moja trgovina” (organized by the city of Ljubljana) has already seven times enlisted it among the most beautiful shops in Ljubljana. 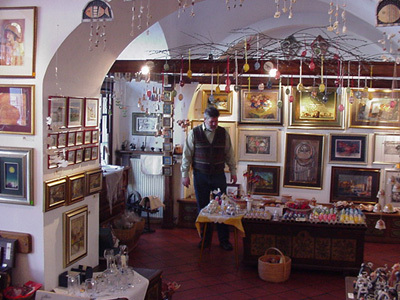 The Lonely Planet travel guidebook described the shop as “best – bar none shop for distinctly Slovenian folk craft”. 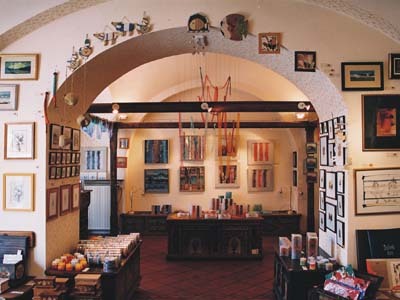 Our chosen slogan is “Ethno gallery SKRINA - Tradition with Sentiment”. 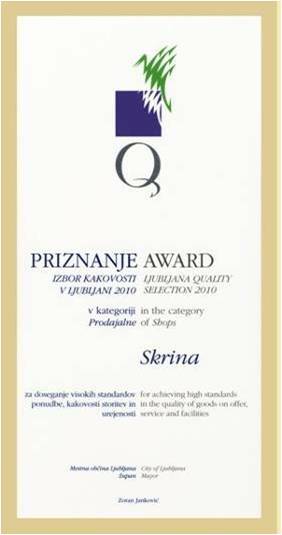 We strive to form an attachment to Slovene tradition but in a new, modern way, in order to adjust to the needs of modern consumers. 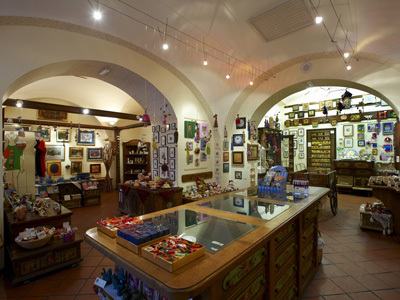 Thus, we have modified some traditional Slovene products and adorned them with contemporary design. We have, for example, given a new look to the traditional Slovene step stool (every household had one at the time of our grandmothers) Find it under the category “joint step stool”. 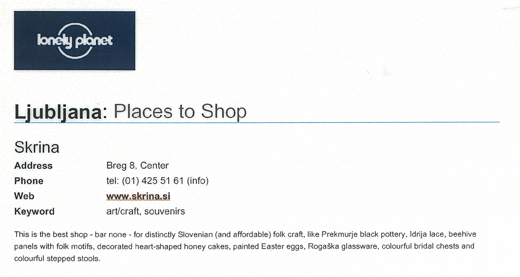 We kindly invite you to visit us at SKRINA – Maxi, passageway Maxi, Trg Republike 1, where we offer products with contemporary design made by local and foreign authors. 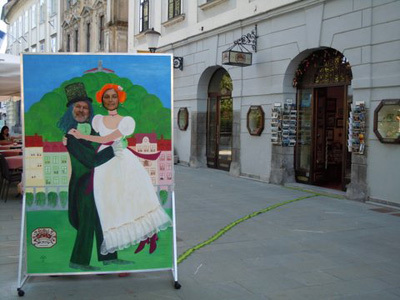 SKRINA is led by ethnologist Blaž Telban and journalist Milena Ivanovič.